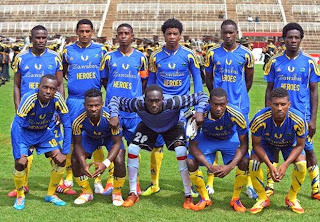 Zanzibar's first meeting with Ethiopia in 6 years ended disappointingly as the FIFA side claimed a 3-1 win on group A's second match day of the 2013 CECAFA Cup to leave the islanders hopes of quarter-final qualification in the balance. After making the perfect start in their opening game Zanzibar made the worst possible one here with Fasika Asfan getting on the end of Shimekti Gogsa's right-hand cross to give the Ethiopians an early lead. Things got worse for the islanders when key midfielder Suleiman Kassim limped off in the 16th minute although 10 minutes later Dereje Alemu was called into action as he turned away Adeyum Saleh's effort. 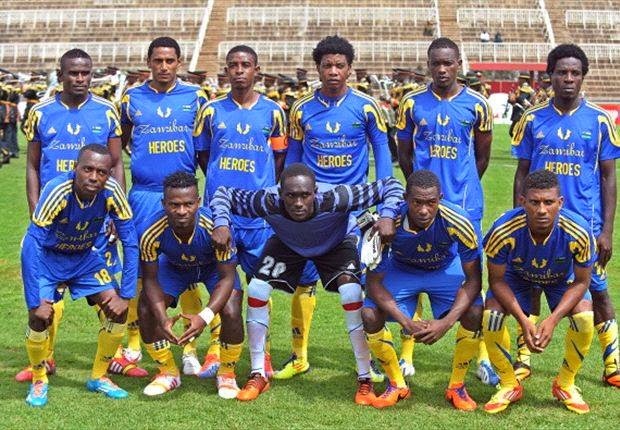 Any hope Zanzibar had of a first-half comeback were ended when, in the 36th minute, Mohamaed Khatib upended Fantu in the box and 19-year old Saladin Bragecho coolly converted the penalty. Wazir Omar and Ali Badru both went close as the non-FIFA side exerted some pressure before the break but they went in at half time 2 behind. Fantu missed a couple of openings in the second period but the game sprung into life in the 68th minute when substitute Seif Rashid crossed for Awadh Juma Issa who headed a goal back for Zanzibar. Gogsa hit the post for Ethiopia with 10 minutes to go as the game opened up late on and substitute Yonatan Kebede extinguished Zanzibar hopes in the 83rd minute when he did headed home his own rebound to make it 3-1. Zanzibar meet hosts Kenya in their last group game at 16:00 (13:00 UK) on Tuesday. Juma's goal today could yet prove crucial in determining whether the non-FIFA side can make the quarter-finals as one of the best 3rd-placed teams. Goals: Ethiopia - Fasika Asfan 5', Saladin Bragecho 37' (pen), Yonatan Kebede 83'. Zanzibar - Awadh Juma Issa 68'. Zanzibar XI: A. Rashid; Bakari, Wazir, Rajab, Khatib; Makame, Kassim [S. Rashid 16'], Ali [Othman 88'], Juma; Adeyum [Mohd 87']; Badru.